Coconut oil is one of the most convenient, versatile products to have in your house. Whether you’re eating it or making it into a hand cream, this stuff works. I invite you to read further and see how coconut oil can be a healthy addition to your diet, but also a lifesaver to have around the house. So, now that you know how great coconut oil is for your diet, there are a few things to look for when buying your first jar. 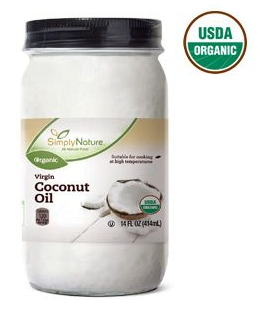 In my fridge, I have a jar of Simply Nature Organic Coconut Oil I grabbed from the grocery store for $4.99.